A heartfelt story about finding where you belong. A new Woodlea rural romance by bestselling Australian author Alissa Callen. For only child Neve Fitzpatrick, family is everything. When she loses her mother, she heads to the bush to rent a farmhouse near her grandmother's family ... read full description below. A heartfelt story about finding where you belong. 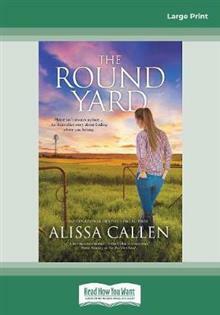 A new Woodlea rural romance by bestselling Australian author Alissa Callen. For only child Neve Fitzpatrick, family is everything. When she loses her mother, she heads to the bush to rent a farmhouse near her grandmother's family home. To keep herself busy and her grief at bay, she offers to look after two little redheaded cowgirls and adopts a sassy pony and shaggy donkey in need of a refuge. Drover and horse trainer Tanner Callahan may have just found his mother, but he's resolved never to let anyone too close. Abandonment has cursed him all his life, and he won't let it happen again. Only two things unnerve him: children and small-town matchmaking. Then he meets occupational therapist Neve. Warm-hearted and unforgettable, she represents all that Tanner feels will forever remain out of reach. But when an old iron key unlocks family secrets from the Second World War, Neve needs help only Tanner can give. As the threads of the past unravel, and locusts threaten to suffocate the land, Neve and Tanner must make a choice. Will fear keep them running or is the home each yearns for already within grasp?